Thanks to Sarah from Baking Serendipity for this amazing and simple recipe to share with our readers! 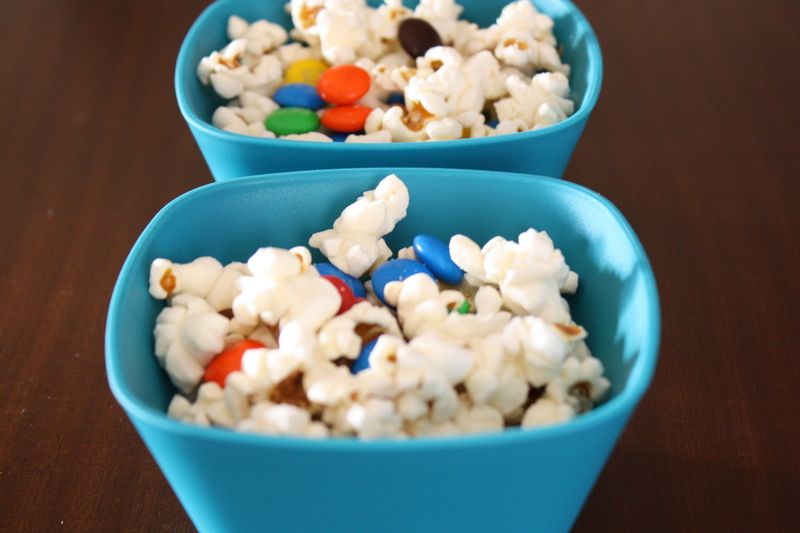 The perfect snack to enjoy a movie with! My first job was at a movie theater. To my sixteen year old brain, it seemed like a glamorous way to watch movies for free. In reality, it was a minimum wage job that involved sticky floors, weekend shifts and imitation butter up to my elbows. My teenage self needed to learn responsibility. And through this popcorn serving, ticket tearing job, I figured out how to be responsible about my time. My money. (I think.) And my movie snacks. These are seriously important life lessons. I’m basically a believer that popcorn from bags and tubs…with microwave directions and sketchy butter products is not okay. Popcorn is worth the few extra minutes and one dirty dish to cook on the stovetop. It’s a splurge snack, comfort food. Really. When popcorn is made on the stovetop, you’re in control. You get to double check that your ingredients are natural. And you get the chance to vary the traditional salt and butter toppings. My latest favorite variation combines a hint of salt, bitter dark chocolate and sweet coconut. I like to eat it on my couch, in my sweatpants, watching Despicable Me. 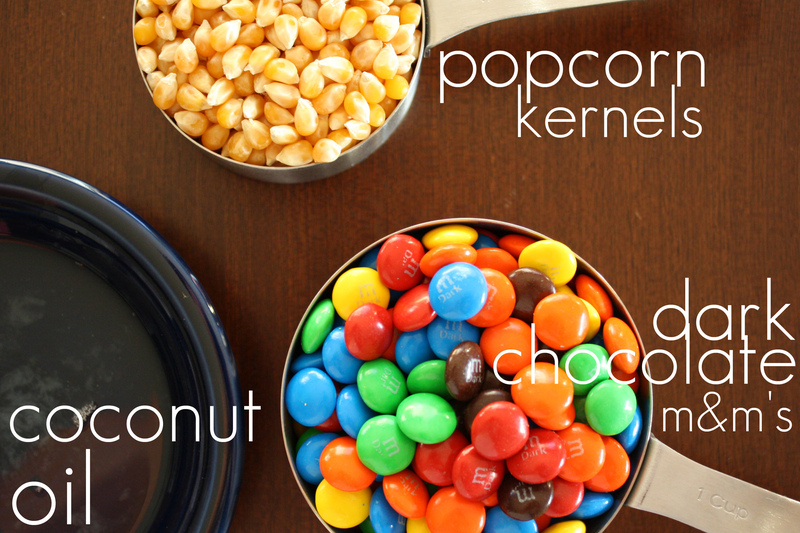 Place dark chocolate m&m’s in a large metal bowl and set aside. Melt coconut oil and place in a heavy bottomed pot with three kernels. Heat over medium high heat. When the kernels pop, add the remaining kernels and cover. Shake the pot gently to keep the kernels from burning, and when you can’t hear them moving any more in the pan (meaning they have nearly all popped), pour the popcorn into the metal bowl. Season with sea salt and stir gently to incorporate. 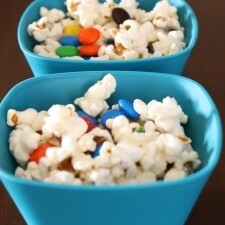 The metal bowl will trap the heat from the popcorn, and melt the inside of the m&m’s just slightly. It’s exactly perfection. yum i try-id this last night! yum i try-id this last night!.